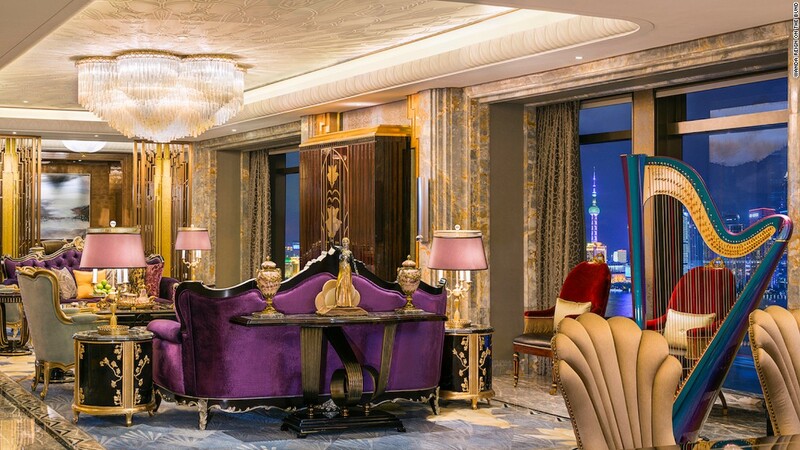 Shanghai (CNN) Billing itself a “seven-star” hotel — the first of its kind in Shanghai — the Wanda Reign on the Bund certainly makes the appropriate first impression. Upon entering the lobby, guests walk across Art Deco-inspired jade inlaid floors toward a wall-sized abstract painting of Shanghai by renowned Chinese contemporary artist Shi Qi. Large marble columns extend to a 10-meter-high ceiling. Other artworks, commissioned specifically for the hotel, are paired with old Shanghai elements to reflect the city’s style during the 1920s and ’30s. Magnolia patterns and amber-colored rhinestones, 3D mosaic murals and elaborate embroideries are all accompanied by plenty of crystal, jade and marble. It’s the 51st hotel of the Wanda Hotels & Resorts group, part of the Dalian Wanda empire under the helm of China’s richest man, Wang Jianlin. And in less than six months, it has become the destination of choice for China’s elite. Then there’s the car service, featuring luxury vehicles starting at $110 per trip — that’s for a BMW 5 Series — all the way up to $800 for a four-hour ride in a Rolls Royce. As many young, wealthy Chinese can’t get enough of expensive cars, the service fills a need. Chef Marc Meneau of now closed two-Michelin star restaurant L’Esprance runs the show inside French restaurant MARC, while at the Japanese restaurant HE, everything — from the ingredients to the crockery, the water and your can of Sprite — is imported from Japan. 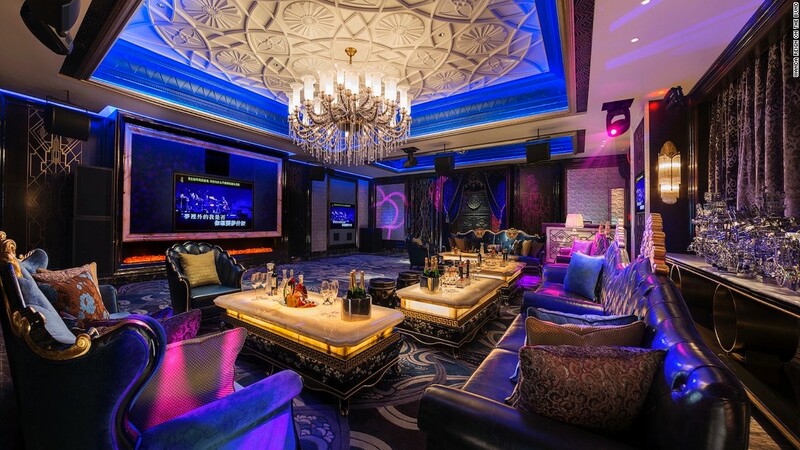 Despite the large-scale glitz and pervasive comforts, the Wanda Reign on the Bund is hard-pressed to live up to its “seven-star” moniker. But it’s the hotel’s connections to the country’s moneyed twentysomethings that gives it its shine — and an edge over competitors. It remains to be seen how long that will last, but for now, this far-reaching and extravagant property is the newest playground for China’s high-spenders.